ALMIGHTY and everlasting God, who of thy great mercy didst save Noah and his family in the ark from perishing by water; and also didst safely lead the children of Israel thy people through the Red Sea, figuring thereby thy holy Baptism; and by the Baptism of thy well-beloved Son Jesus Christ, in the river Jordan, didst sanctify Water to the mystical washing away of sin: We beseech thee, for thine infinite mercies, that thou wilt mercifully look upon this Child; wash him and sanctify him with the Holy Ghost; that he, being delivered from thy wrath, may be received into the ark of Christ’s Church; and being stedfast in faith, joyful through hope, and rooted in charity, may so pass the waves of this troublesome world, that finally he may come to the land of everlasting life, there to reign with thee world without end, through Jesus Christ our Lord. Amen. 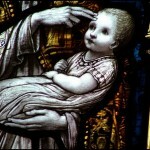 ALMIGHTY and immortal God, the aid of all that need, the helper of all that flee to thee for succour, the life of them that believe, and the resurrection of the dead: We call upon thee for this Infant, that he, coming to thy holy Baptism, may receive remission of his sins by spiritual regeneration. 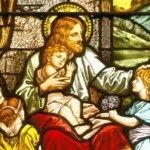 Receive him, O Lord, as thou hast promised by thy well-beloved Son, saying, Ask, and ye shall have; seek, and ye shall find; knock, and it shall be opened unto you: So give now unto us that ask; let us that seek find; open the gate unto us that knock; that this Infant may enjoy the everlasting benediction of thy heavenly washing, and may come to the eternal kingdom which thou hast promised by Christ our Lord. Amen. Pretty straightforward – baptism is for the “mystical washing away of sin”, “sanctification”, “deliverance from wrath” and bringing the child to everlasting life. The child is regenerated, i.e. born again, and brought into the family of God. Declarations of faith are made FOR the child by his sponsors, much in the way a parent can speak for his or her child until he reaches an accountable age. 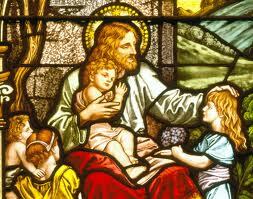 It is a hope and an expectation, sometimes frustrated, that the child will grow in faith within the Body of Christ through familial nurturing, both from his birth-family and the wider family of the Church. When the child is older, he will make his own declaration of faith in his Confirmation, at which time the strengthening of the Holy Spirit is requested. At the reformed end of the communion the promises given during baptism are seen as delayed, and conditional upon the child’s eventual personal faith. In reality of course, whatever view one holds, the procedure and outworking of baptism is the same. But what of the unbaptised baby? 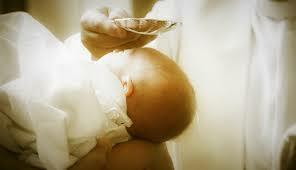 Elect infants are those chosen by God for salvation from the foundation of the world in Reformed theology. I remain convinced, along with the historical, pre-Reformation Church, that infants should be baptised into the family of God, that their baptism is regenerative, and that infants dying before baptism are saved in the mercy of God. I believe 2 Samuel 12:23 makes this clear.